This edition fof Acoustic Open Mic kicks off with a special showcase from local artist Charles Wesley Godwin 8:30-9:30 pm. 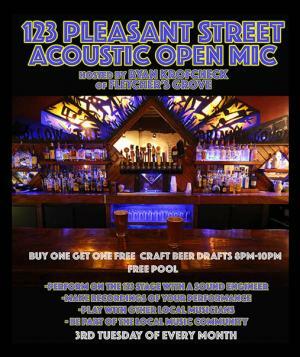 Open mic follows the performance! 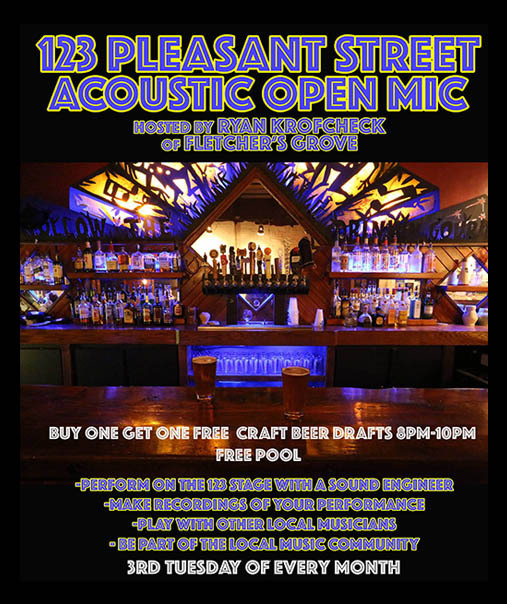 Join us the 3rd Wednesday of every month for the new improved Tuesday Acoustic Open Mic hosted by Ryan Krofcheck of Fletcher's Grove!! Perform on the 123 stage with Krof as your dedicated sound engineer, record a video for social media, or just play in front of an audience. Acoustic groups are also welcome. Sign ups will now be first come serve at the event with 20 minute spots beginning at 8:20PM going until midnight. Plus the lower bar will be slinging half price draft beers 8PM-10PM and free pool! Free admission with valid 18&up ID.